Whether you are a college student or a stay at home parent, thanks to the Internet, there are ways that you can make money without leaving your home. Best of all, these are things you do in your free time. While you may not make a part-time living from these tasks, you can earn enough to give yourself a little wiggle room in the budget or to save for a vacation or a nice night out with your significant other. 1. Take pictures of your recycling. Sounds strange, right? Well, yes it does, but Recycle Pix will pay you with points that can be redeemed for a variety of products, including a new computer. 2. Search the Internet with Swagbucks. Swagbucks is a search engine like Google or Yahoo!. The difference is that you can earn Swagbucks for some of your Internet searches. Those Swagbucks can then be redeemed for a variety of prizes, or even better, PayPal deposits or Amazon gift cards. 3. Take surveys. 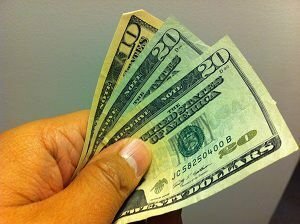 You won’t get rich taking surveys from survey companies, such as CashCrate, but if you have some extra time in the evenings, you can earn $25 or more a month. The key is to take a few surveys every day. 4. Become a virtual assistant. Sites like oDesk or Elance often advertise jobs for virtual assistants. Essentially, you are working as an online secretary, so to speak, helping a busy online worker complete tasks. Often you can do the work when it is convenient for you, though you will have regular deadlines. 5. Review books. Some book companies will send you free books in exchange for a book review that you publish on your blog. Then, you can sell the books online for cash. 6. Open an Etsy shop. If you are an artist or crafter, you might consider selling your goods on Etsy. To make the most money, you should sell something that is unique. Etsy has gotten bigger and bigger in the last several years, so it is harder to stand out unless you are selling something different than others. 7. Enter giveaways. With so many bloggers offering giveaways, now is a great time to win. Depending on what you win, you can sell it for money or use it for your family. Giveaways that offer free food are a great way to reduce your grocery bill. 8. Tutor. If you are a former teacher or you are gifted at playing a musical instrument, you can offer tutoring or lessons right from your home. Disney Family suggests that you can earn $20 or more per hour tutoring. Do this 12 hours a week, and you are earning nearly $1,000 a month for your family. No matter the reason why you are staying home or need work from home, there are plenty of ways you can contribute to the family’s income. These 8 suggestions are just the starting point; search the web, and you will find many more ways you can make money from the comfort of your home. Taking pictures of your recycling? Who pays for that and why? That is strange. I just joined swagbucks yesterday so I may give it try from time to time to see how that works. I’ve tried joining giveaways and take surveys. I don’t earn that much, but at least I have some extra cash on hand. I’d like to register on Swagbucks but their promo isn’t available here in our country.